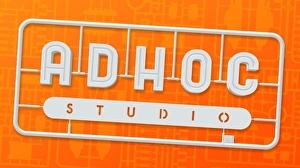 Four former Telltale developers have banded together to form AdHoc Studio, a new venture dedicated to “interactive narrative” games. Michael Choung, Dennis Lenart, Nick Herman, and Pierre Shorette – who all have backgrounds in television and film – departed Telltale before it shuttered in September last year, but recently reunited to develop story-driven games inspired by the likes of Black Mirror’s live-action show, Bandersnatch. The founders “see choice at the heart of the games it plans to develop”.